For any delivery driver or member of a field workforce, managing a day of stop locations can be tedious and difficult. It’s often hard to know the best order in which to visit each destination and tough to determine the quickest routes to take. In Atlantic County, New Jersey, this problem was presented to Matthew Duffy, a GIS specialist for the Atlantic County Office of Geographic Information Systems (ACOGIS) within the Regional Planning and Development Department. A couple years ago, Duffy and his team used their existing ArcGIS Network Analyst software to create optimized routes for county workers. But they hit a roadblock when it came time to share those routes with drivers in the field. Drivers access their assigned routes via Navigator for ArcGIS on Android tablets mounted inside their vehicles. 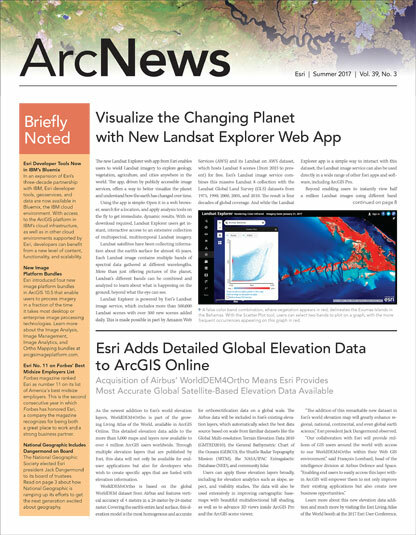 Then Esri introduced Navigator for ArcGIS for Android devices. Right away, Duffy recognized Navigator as a simple, low-cost solution his team could use to deliver optimized routes directly to drivers via smartphones or tablets. To test Navigator, ACOGIS created a project for the Home Delivered Meals (HDM) program, run by Atlantic County’s Department of Human Services supervising manager Alan Knudsen. The HDM program uses five food trucks to deliver nutritious meals to disadvantaged or elderly citizens who are unable to independently make or gain access to meals. The program is supported by five regular drivers each day, with two or three backup drivers filling in when a regular driver is unavailable. There were a number of requirements for setting up a Navigator solution for HDM. First, the people serviced by the program often become attached to the drivers who deliver the meals, so Knudsen and his team needed as much consistency as possible in driver route assignments. They also had to develop a routing solution for times when regular drivers were unavailable. They needed to create a solution for when new routes were implemented in one of the county’s municipalities as well, considering that two new HDM program routes are expected to be put in place soon in Atlantic City. Additionally, the solution had to be flexible enough to change any given route throughout the week, since there are day-to-day changes in stops when one of the regular meal recipients is away from home or does not need service. Duffy and his team took all these constraints into account. Using a $2,000 transportation grant to fund the necessary additional hardware and software, they developed a solution using ArcGIS. HDM updates its delivery information in a database. ACOGIS accesses this database every afternoon to run a geoprocessing model (created with ModelBuilder) that assigns and sequences the stops and then produces routes for each driver. These routes are then automatically shared with the drivers, who access them via the Navigator app on Android tablets mounted inside their delivery vehicles. Navigator then efficiently guides drivers to each meal delivery location. The app’s offline capabilities allow drivers to stay on schedule even when they pass through areas of the county that do not have cell phone coverage. For HDM program organizers and meal recipients, using Navigator has been effective. The solution has also been validated by the drivers. Although they were initially skeptical of the app, they have commended how easy it is to use. Knudsen reports that the HDM drivers appreciate that they can use the app when they need it and easily turn down the volume when they don’t. Optimized routing saves the county money and improves the reliability of its services. That is why ACOGIS is planning to expand the use of Navigator to mosquito site inspectors, ideally this season. 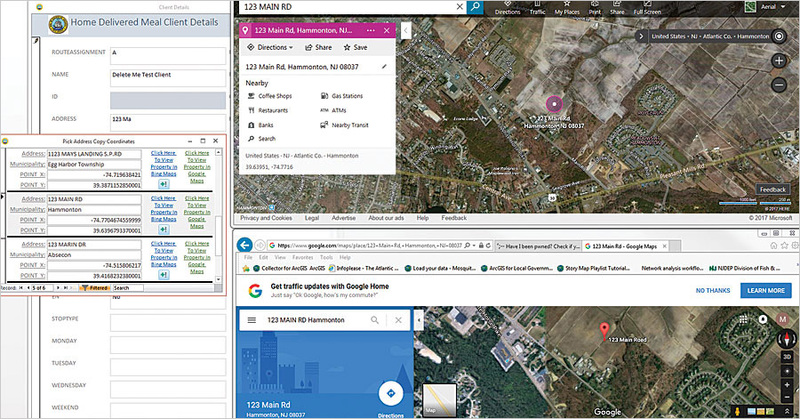 In addition, Atlantic County’s recent upgrade to ArcGIS Enterprise will now permit the GIS team to create custom Navigator maps using its own authoritative data. This will allow Atlantic County to consistently use its own data (which is maintained in the office) out in the field via Navigator. Learn more about how to optimize routes with Navigator for ArcGIS.